Overview Originally launched in 2004, the Mercedes-Benz CLS became the forerunner to the four-door luxury coupe segment – a group that has grown considerably over the past few years and now includes such formidable cars as the Porsche Panamera, Audi A7 Sportback and even the Aston Martin Rapide. Such competition demands an impressive leader, which is why Mercedes has completely reworked their all-new CLS63 AMG, the AMG-tuned monster of a car that blends high-end luxury with precise (and frankly, spectacular) driving dynamics. 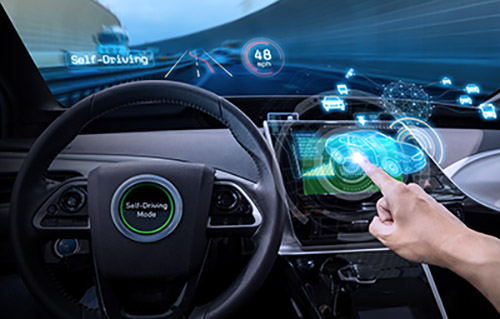 From the electronically controlled damping system to automatic seat bolsters, this is one intelligent car, one that also adjusts the ride dynamics to accommodate changes in the road. Featuring an all-new V-8 biturbo engine and a near-perfect seven-speed transmission, the CLS63 barrels down roads with grace and enthusiasm – and there’s no shortage of elegance to be found in the styling either. Those looking to eke every ounce of excitement out of the CLS can opt for the AMG performance package, which bumps horsepower to 550 (from 518) and shaves a tenth of a second off the 0-60 mph time. 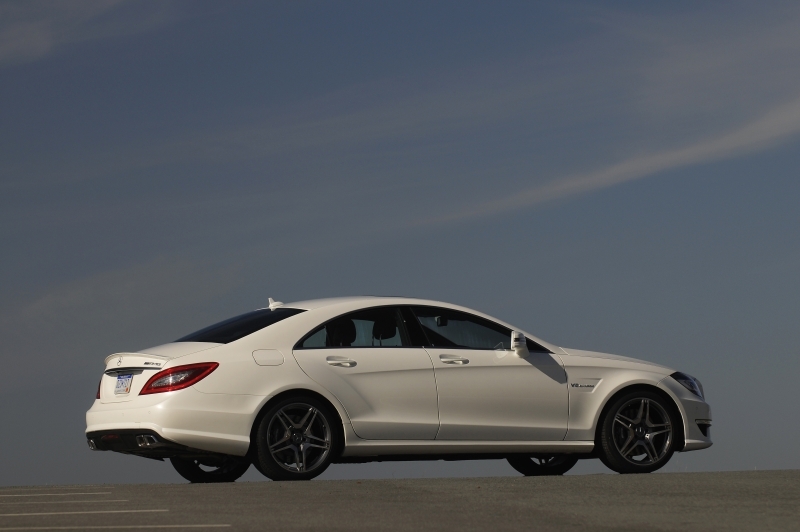 While the CLS63 has a solid audio system, it’s the noise of this car that will be most rewarding to you audiophiles. The blip and subsequent roar of the engine when downshifting is enough to take your breath away. The new stop/start feature that turns the engine off at idle not only saves gas, but also gives you a thrill of the engine starting up at every stoplight. As usual, the cabin is comfortable and quiet; the front seats can massage and bolster their occupants in tandem. Comfort mode is a slight misnomer; it’s just too firm for driving around town or long road trips. The push button for park seems unnecessary, and for a car filled with technology, the Comand infotainment system continues to be neither intuitive nor easy to learn. 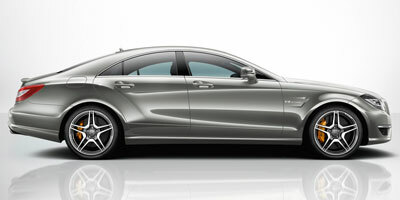 If the regular CLS is considered a luxury cruiser, the AMG version is more like a luxury bruiser. It's aggressive, thanks to the twin-turbo V-8 and a tightly tuned suspension, and the seven-speed automatic transmission shifts seamlessly to give you the most power when needed – it also automatically blips the throttle when downshifting. A knob on the center console rotates through four different drive modes; Sport and Sport Plus tighten up the suspension and steering, among other adjustments, Manual gives you full control over the paddle shifters and Comfort softens up the suspension (a bit) for around-town driving. 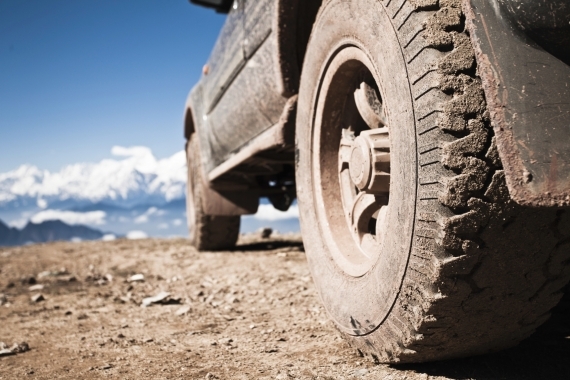 No matter which drive mode you’ve selected, the 4,100-plus lb curb weight never becomes a factor. An electronically controlled damping system adjusts damping depending on the drive conditions, and the AMG team has reduced body roll by 50 percent. With this much torque, it’s not surprising that the back-end wants to get out a bit during spirited driving, however, the CLS63’s stability control keeps the car firmly on track, with it giving you a little more wiggle room in Sport Plus mode. The performance package increases the biturbo’s boost to add a considerable amount of power and torque to the mix. Ceramic brakes are an option – included in the performance package – but feel overly grabby and not nearly as forgiving around town as the standard set. When you do hit the brakes to come to a complete stop, the engine will turn off (if you don’t disable the function) in Manual mode instead of idling and wasting gas. An all-new AMG 5.5-liter V-8 twin-turbocharged engine has replaced the outgoing engine in order to deliver more efficiency and power and delivers 518 horsepower and 516 lb-ft of torque (up from 507 and 465 respectively). Opting for the performance package wrings out a full 550 horsepower and 590 lb-ft of torque from the same engine and increases boost from 14.5 to 18.8 psi. Automatically swapping gears for you is the ever-impressive AMG Speedshift MCT seven-speed sport transmission that can be controlled through paddle shifters. In its 125 years as a company Mercedes-Benz has consistently improved upon comfort and technology in the cabin, and the CLS63 is yet another recipient of some remarkable features. Seat massagers and dynamic side bolsters – which react to steering inputs to keep you put – are standard for both the driver and passenger. To help with reduced visibility from the cabin, Blind Spot Assist steps in to let you know when vehicles are approaching your flanks. Lane Keeping Assist will actually brake specific wheels to guide you back into your lane if it senses the car drifting. All technology within the cabin can be accessed through Mercedes’ own Comand system. A full range of functionality is at your fingertips, if you can get through the menus. The system is inherently unintuitive and difficult to learn. On the other hand, the 14-speaker harman/kardon surround-sound audio system produces high quality sound and includes satellite radio, a six-disc DVD/CD changer, iPod connectivity and an in-dash SD card reader. EPA estimates aren’t in yet, but according to Mercedes-Benz the CLS63 will see city mileage of 16 and a highway mileage of 21 mpg – a 32 percent improvement over the last generation. A number of features contributed to the gain in fuel economy, including a new, more efficient engine and the addition of a start/stop at idle function. And bonus! 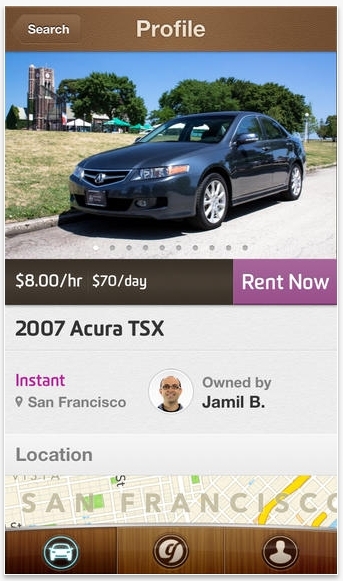 – no gas guzzler tax for this car. The interior’s a luxurious affair, with soft leathers covering most surfaces. The dash, available in various wood or metal materials, surrounds elegant gauges and a well-laid out instrument panel. The performance package adds Alcantara inserts to the steering wheel to match the headliner. We’ve already mentioned the front seats, but we’d be remiss not to say that the two rear ones have a good amount of head and legroom, making them comfortable for the average sized adult. There’s a lot to love in the exterior design of the CLS, and much of that has to do with its inspiration: the SLS Gullwing. The AMG-specific grille dominates the front-end and LEDs blaze through the cat-eyed rear lights. Aggressive lines trace along the rear haunches and cut the length of the body. Five-spoke wheels show off the brightly colored brake calipers. 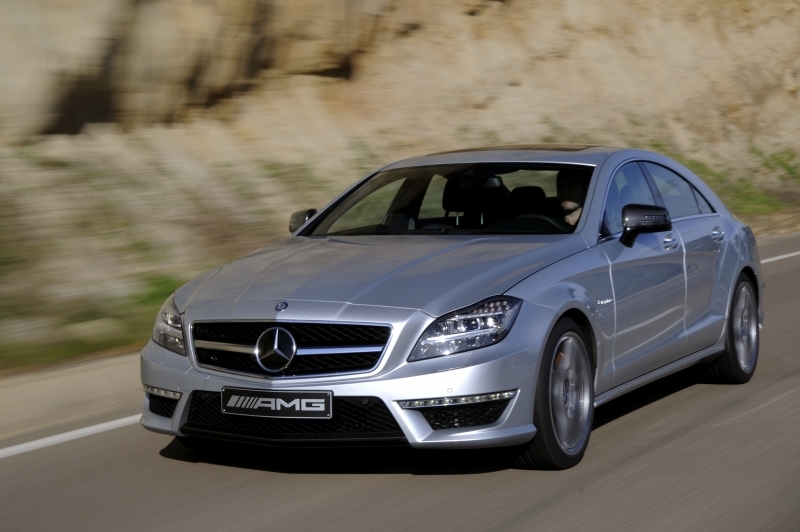 Pricing hasn’t yet been released, but the 2012 CLS63 AMG should come in slightly above last year’s MSRP of $99,925 – which is roughly $25,000 more than the CLS550. But there are now a number of other low-slung four-doors looking for a fight within this price range. The Audi A7 Sportback, Porsche Panamera Turbo and, yes, even the considerably more expensive Aston Martin Rapide are all impressive cars in the CLS63’s class. Choose wisely. One doesn’t usually (or ever) consider a $100,000 car a good deal, but the new and dramatically improved CLS63 AMG offers more than enough to justify such a cost – especially when comparing it to the lofty selling prices of others in the segment. In every way, this is a better car than the previous generation, with additions to comfort, ride dynamics and efficiency clearly apparent, and styling – inside and out – is less polarizing than others out there (we’re looking at you, Porsche). In true Mercedes form, they’ve delivered another AMG winner.